Welcome to Whotopia - a Doctor Who web site containing pages and links to various Doctor Who related items. 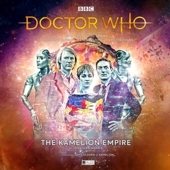 There is a listing of all the Television Stories (including those that have been lost in the mists of time and those of the New Television Series), indepth information on all the Doctors, Companions, Villains and a full Episode Guide. 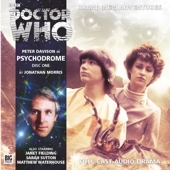 You can read all about the BBC and Virgin Books and the Big Finish Productions Audio Stories. There are also Latest News Pages that includes information and dates of forthcoming videos, books, audios and other merchandise and events. 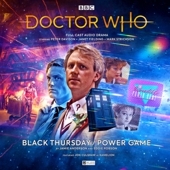 You will also find a quiz (The Game of Rassilon), an online game (Dalek Attack with the dreaded Daleks) and a couple of puzzles for you to try out - all in The Fun Zone. Hopefully you will enjoy them along with everything else in this site. 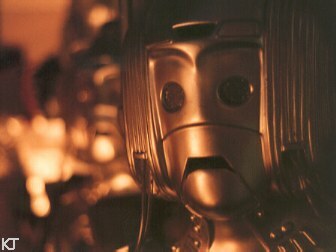 Also there is a Gallery of Doctor Who Photos taken by members of the Whotopia Web Team. 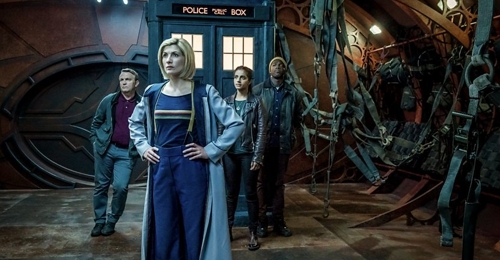 You can also take part in our online poll to vote for your Favourite Doctor, Television Story and Big Finish Audio Story. As this site is developed even further it is hoped to bring you lots of other things as well. To see more of the photo collection then please click on the picture to the right. 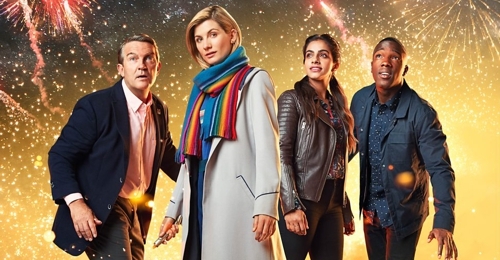 To enter the episodes list then please click on one of The Doctor's faces below. 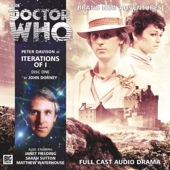 Further buttons can be found throughout this page where you will end up materialising in the other parts of this web site and if you can't decide where to go first then why not use The Randomizer - it worked for The Doctor. Don't worry if you become lost as you can always use the Fast Return Switch in the top-left corner of this website to quickly return to this Home Page. 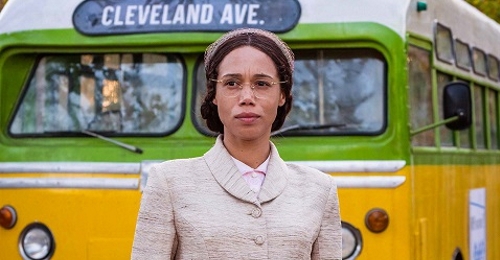 Do you have a favourite BBC Television story from the Latest Series? Interested in what others think? If so then why not have a go at our online poll. If you want to form a mutual link to/from your own web page or just wish to get in touch then please send me an E-Mail or use the form that can be found at the "Contact Me" link below. A cunning game of skill and swiftness to get as many Daleks onto a chess board as fast as you can. Unscramble a picture and if you are skillful enough the full image will be revealed. Match the images while trying to remember where the different ones are.